Welcome to Day 5 of The Comics Cube! 's retrospective series on James Robinson, Tony Harris, and Peter Snejberg's STARMAN. You can read about this series here. When we started this retrospective, I said that while Jack Knight is the main character of the STARMAN series, he wouldn't call himself the hero of the book. That would be Ted Knight. In the same vein, if we're talking about the protagonist of the book — in the sense of carrying out the actions that drive the story — we could very well be talking about The Shade. The Shade made his debut in FLASH COMICS #33 in September 1942, and was a thorn in the side of the Flashes throughout the decades, using his control of shadow matter, via his cane, to give them trouble. He wasn't defined very well — if he was defined at all — and Robinson took the opportunity in 1994 to flesh him out as a character. As a side note, this is one of the things I love about shared universes. No character, potentially, is ever wasted. It just takes the right writer and the right pitch. A third-tier Spider-Man villain turns into Daredevil's arch-nemesis. A long dead hero becomes a picotal character and eventually stars in one of the next big movies. A little-defined Golden Age hero becomes the father of the title character of one of the best superhero titles of the 90s, and an even less-defined Golden Age villain becomes a pivotal character in the same series. 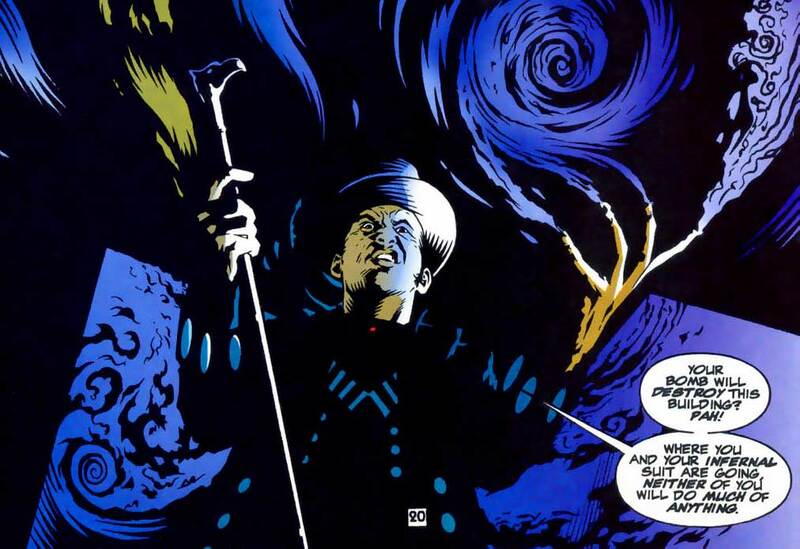 Robinson made the Shade an immortal who had been around since the 19th century, and defined his powers to be more mystical than scientific, making his powers virtually limitless. Most importantly, he made the Shade a mostly amoral individual, whose acts of villainy were mostly for amusement, and who made sure nothing ever happened to Opal City. As long as he was in Opal, he behaved, even helping out the police and making sure that Jack would have what it takes to protect the city when needed. In the first "Times Past" story, The Shade is revealed to have done a job for Herman Melville (or it may be Mayville — the editing wasn't very tight on this book) and got something out of it in return. We only find out what it is when the series ends, and I'm not telling you what it is because it's more fun to read it that to read spoilers, but it's of Opal, and showcases his love for it. Here's a sequence from an issue in which the superheroes are losing their powers during the GENESIS crossover and it's up the the Shade to save the day. The Shade loves his city, and he's an important part of it. In the course of the series, STARMAN had one crossover (BATMAN/HELLBOY/STARMAN, which really felt more like Hellboy starring the other two), an important tie-in to DC 1 MILLION, and a one-shot with The Mist as part of DC's GIRLFRENZY event, but only character got side stories in other titles. 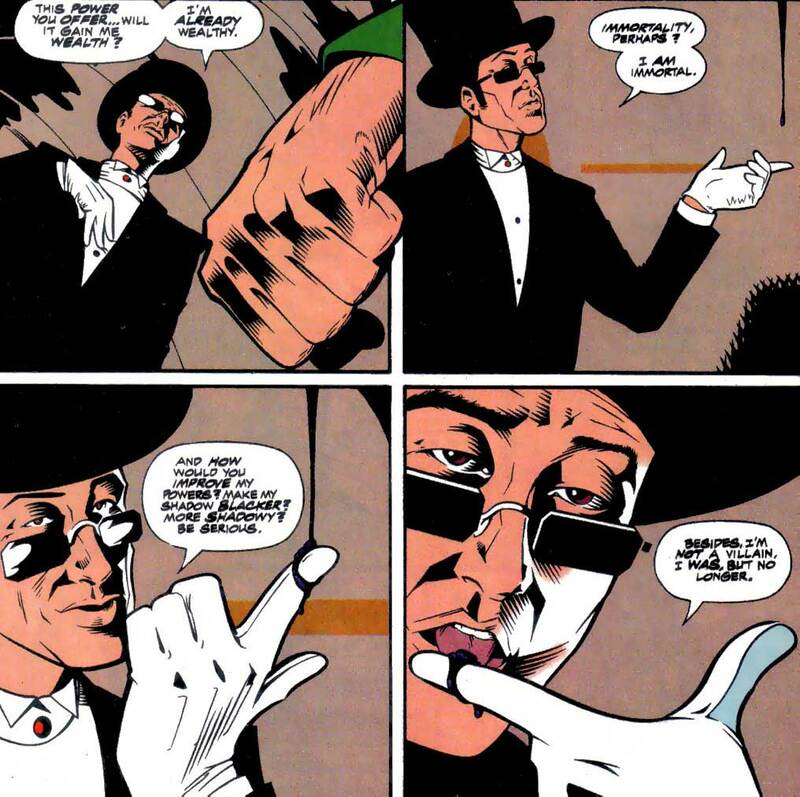 The Shade was given two stories in DC's SHOWCASE series, the first of which involved him standing up to Neron, DC's version of the devil, and the second of which involved an adventure with Dr. Fate. Both would play into the overall STARMAN saga. The Shade was also given a four-issue miniseries, and it's revealed that throughout his existence, he'd been trailed by a family called the Ludlows, who want nothing but to see him dead. 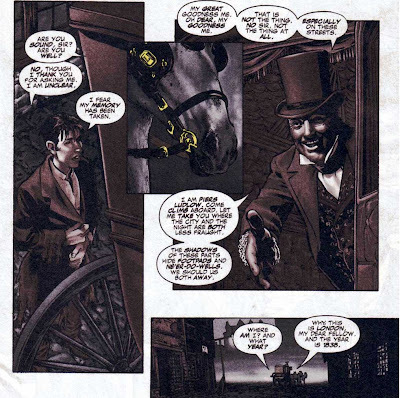 The first issue, drawn by Gene Ha, shows the origin of that feud. The second, drawn by a young JH Williams III, shows snippets of fights with various Ludlows over the years. The third, drawn by Bret Blevins, showcases his feud with the original Flash Jay Garrick, and Garrick's replacement, the Spider, who was a Ludlow posing as a hero. And the fourth, drawn by Michael Zulli, shows his meeting with who he thought was the last remaining Ludlow. As it turns out, he was wrong — the Spider had a son, and he's later seen working for the Shade for the destruction of Opal City, in "Grand Guignol." Makes no sense, does it? Trust me, you wouldn't believe the written explanation, but it is legitimate comic book fun that has you on the edge of your seat as you read it. 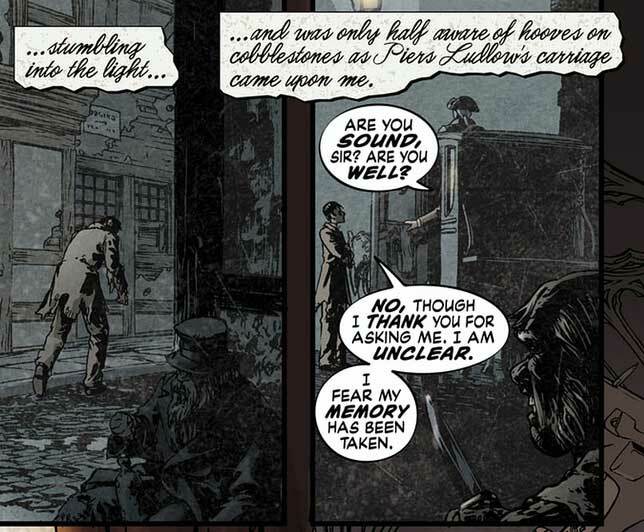 The reveal of the Shade's, shall we say, multiple personalities is reminiscent of the kinds of plot twists from bygone eras of comics, complete with the same type of charm, and still manages to be disturbing and creepy. Despite the success of STARMAN (which is debatable because it was a cult hit and not a mass hit), DC hasn't really made much effort to capitalize on the series. Prince Gavyn showed up in the Rann/Thanagar War as a minor character (which is weird when you consider that he's the leader of a whole legion of planets). Mikaal Tomas joined a Robinson-penned Justice League where Congorilla was his best friend (I'm still unsure as to the thinking behind that). 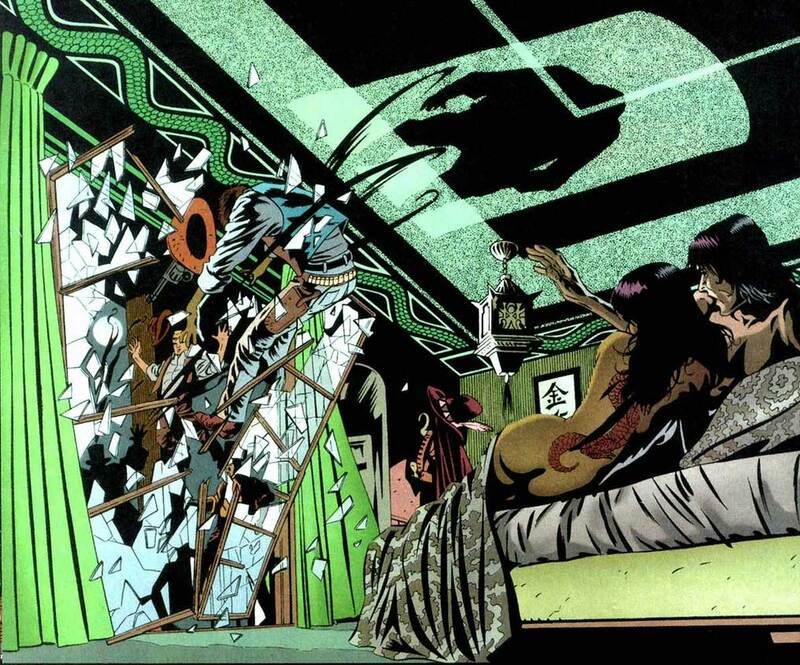 Opal City showed up in an issue of Ed Brubaker's CATWOMAN and was shown to be where the Elongated Man lived until IDENTITY CRISIS. 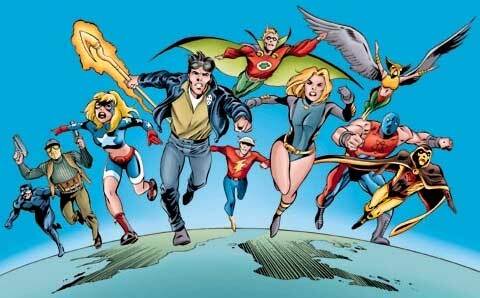 Jack himself towards the end of the series helped launch the new JSA, where Courteney Whitmore, Stargirl, inherited his cosmic rod, but he was rarely ever even mentioned once he left that group. No, there hasn't been much effort, but what effort there has been has come with the Shade. He's made appearances in Brad Meltzer's GREEN ARROW run, in which it's revealed that Oliver Queen trusted the Shade to take care of his affairs after his death. 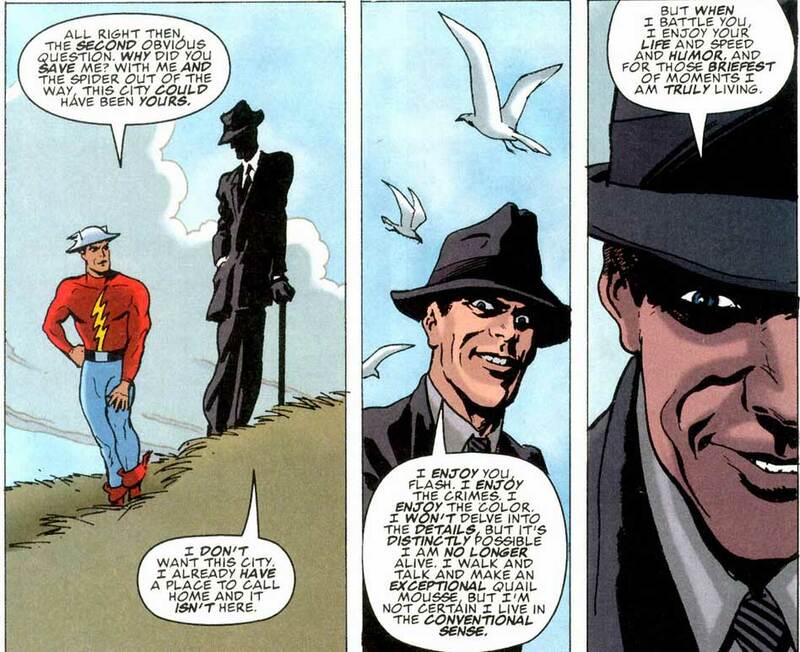 The Shade showed up a few times in the JSA series, and in CRY FOR JUSTICE. 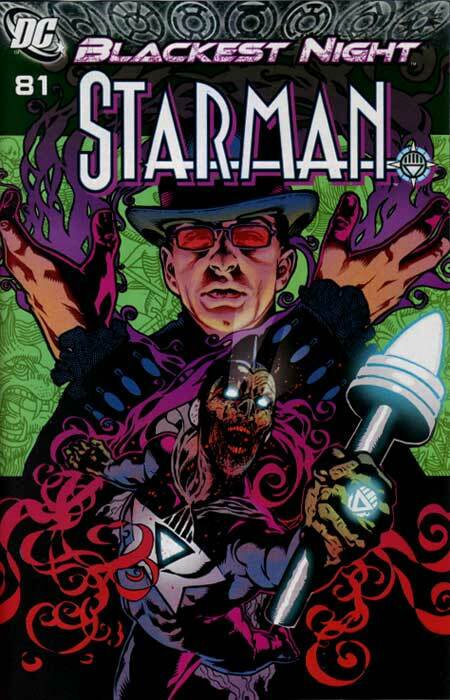 When DC "resurrected" some dead titles for their Blackest Night event, the STARMAN issue didn't have Jack in it at all; it starred the Shade fighting the corpse of David Knight. 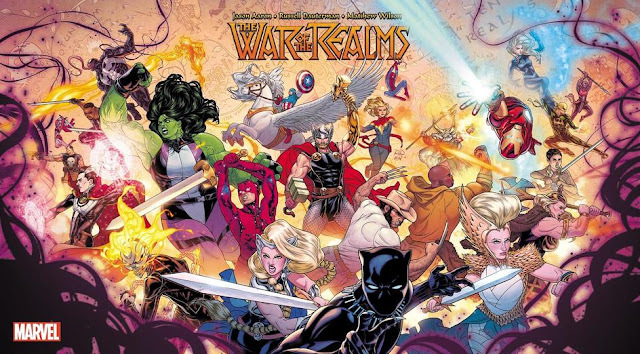 Most recently and importantly, the Shade was deemed worthy enough to headline a 12-issue maxiseries, which consisted of three three-part arcs broken up by three single-issue "Times Past" stories, all contributing to the overall narrative. The entire story has the Shade going around the world, dealing with some opposition from his past, which includes a family and descendants who turned out to be both heroes and villains. I'll be the first to say that the first arc, drawn by Cully Hamner, started off slow, even involving the DCnU Deathstroke and incorporating unexciting cliffhangers that seemed, frankly, contrived. 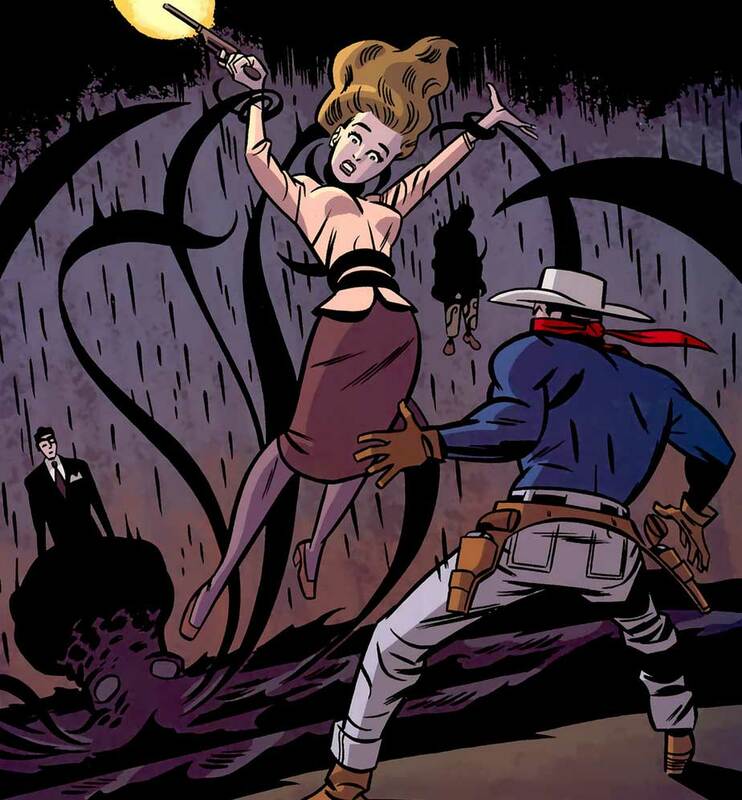 But by the fourth issue, a Times Past drawn by Darwyn Cooke, the series kicked into high gear. 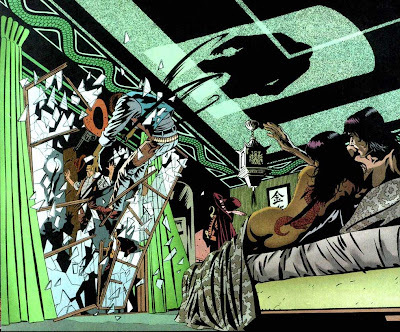 Robinson and Cooke told a story involving the Shade, the Vigilante, and Madame Fatale, and it was both high adventure and revealing of the multitude of story types the Shade can carry. The rest of the series — with art by Javier Pullido, Jill Thompson, and Frazier Irving — built off each new development in a logical and intriguing manner. It established the Shade's past in an adventure in the present — which includes heroic vampires, Egyptian gods, and homunculi — and how he was a good man who eventually just lost his moral compass, and eventually got it back. I initially thought this would neuter him as a character, thinking that he'd be one of those characters that would be more intriguing the more unpredictable and ambiguous he was, but it didn't, because he still retained that air of snobbery and high class. He was still inexplicably condescending. I don't think anything Shade-related compares, however, to the last issue of that maxiseries, which was drawn by Gene Ha. 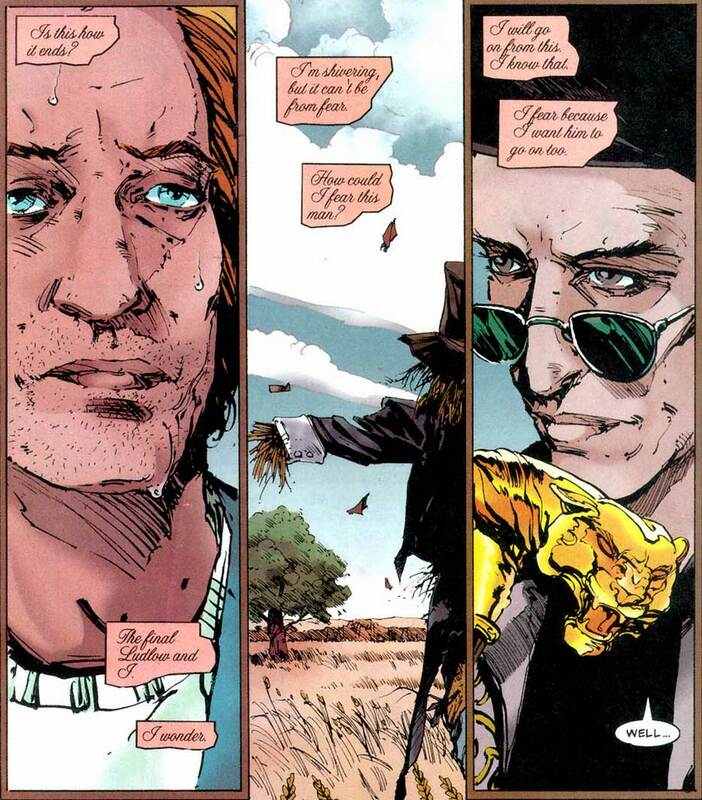 This is where the Shade's origin is finally revealed, tying together everything we've known of the Shade's past — his friendship with Charles Dickens, his arch-nemesis Culp, something about a lion — and it's just beautiful. 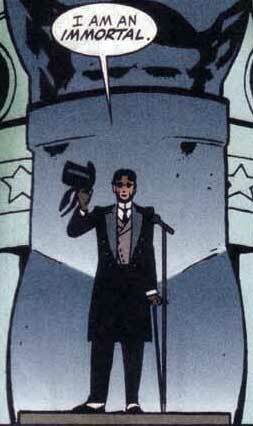 What's more, it's penultimate sequence is the first sequence of the first SHADE miniseries, all the way back in 1997. How's that for full circle? In true STARMAN fashion though, still not everything is revealed. Will we ever see why the Shade was chosen for his powers? I sure hope so. I hope, at one point in time, these characters, these mythos make a return. And that's that. Writing this STARMAN retrospective has been a bit difficult for me, because there's just so much to talk about, and I tried to keep it spoiler-free. I'm sure I'll be coming back to it every now and then, but this has been fun. I love this series, and I hope that showed over the past five days, and I hope that some of you who have never read the series have been enticed to start. As always, let me know what you think in the comments and on Facebook or Twitter! I just finished reading the complete new maxi series and I loved it! Stumbled across your retrospective series while looking for some Starman images. When I noticed you were taking a five-part approach to talk about a comic series I love, I settled in for a spell. And what a spell you have woven here! Well done! In addition to my short answer/reason I give people for checking out Starman, I shall also point to your series here.